Organic Waste – What to do? Have you ever felt frustrated with the food waste that you throw away, knowing that it will be sent to landfill, and not knowing what could be done instead? To address this problem in its own office, Solid Green introduced both a worm farm and a Bokashi composting system. A recent report entitled ‘Food Loss and Waste: Facts and Futures’, issued by the WWF, notes that, in South Africa, 10 million tonnes of food go to waste every year. That’s a third of the food produced annually in this country. The Council for Scientific and Industrial Research (CSIR) has valued this loss at R61.5 billion. Recycling food waste is one way of taking responsibility for food that is not consumed. Recycling is also important because, once food waste enters the waste stream, other recyclables are more difficult to separate as they become contaminated. 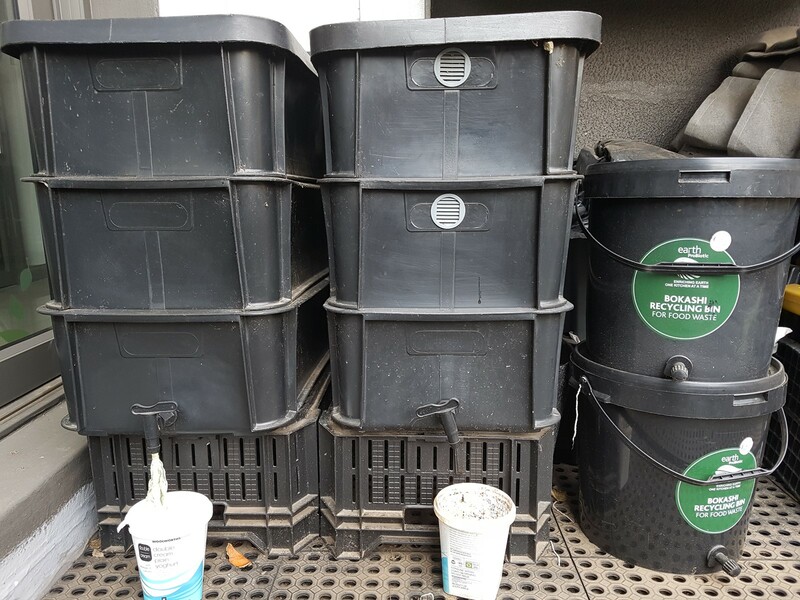 Solid Green’s first worm farm reduced our organic waste significantly; and we soon introduced a second worm farm as the first one was not capable of processing all our organic waste. After five years, we have two super-healthy worm farms, with the worm population quadrupled (at least). The farms also generated a significant amount of worm urine, which can be used as organic fertiliser on plants, or as a sink cleaner! 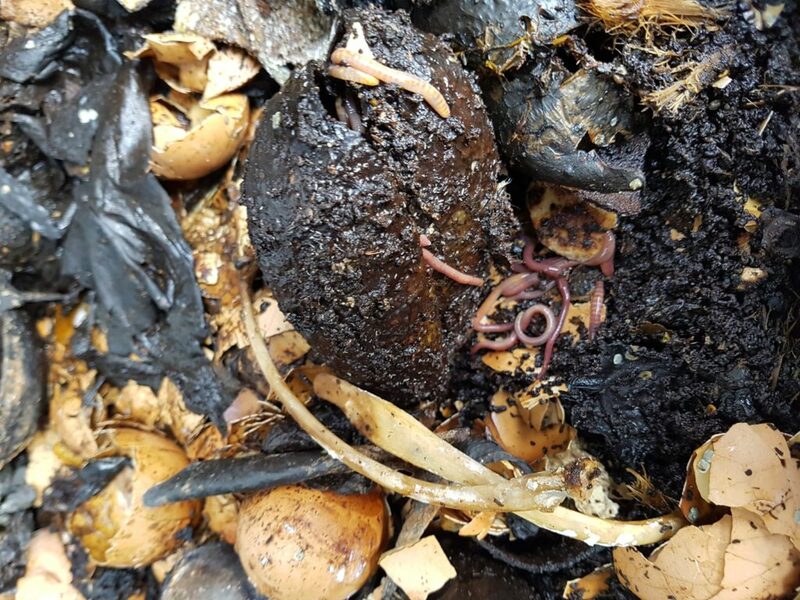 Soon after the farms’ introduction, we realised that worms are picky eaters and that we needed something to take care of all the food waste they were not able to deal with, such as citrus fruit peels as well as meat and dairy leftovers. The Bokashi composting system was then introduced and has been amazing. 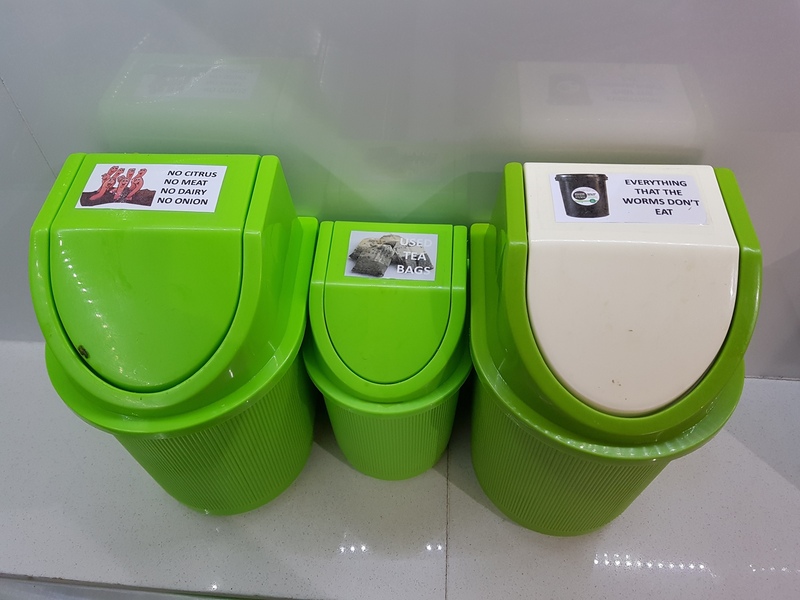 These two systems have enabled us to compost 100% of food waste produced in our office. This compost is then used for the plants in our office. We also gave our staff two Bokashi bins so that people could implement this practice at home as well. Bokashi bran is a mix of beneficial microbes, which enhances the composting process. You start with a little bran in the Bokashi bin, then add your food scraps, add some more Bokashi bran and repeat until the bin is full. The Bokashi bin does not smell and can be kept in the kitchen until it is full. As such, it is a handy system if you live in an apartment. At our office, we keep a small bin on top of the counter and this is regularly emptied into the Bokashi bin on our balcony. When the Bokashi bin is full, you leave it to stand for about a month – which is why it is handy to have two bins. You can then transfer it to a compost heap, or dig a hole in the garden where it can compost further. Or you can transfer it to a bigger container, let it stand for two more months, and then use the compost for pot plants or in the garden. Alternatively, you can deliver your Bokashi to a local composting scheme, or food garden. I read Solid Greens business profile and would like to discuss doing business with you in relation to your projects finance and capital growth. We’re hands-on investors from Allied Domecq (Europe) Finance sourcing for innovative entrepreneurs and consultants with investment opportunities in commercial real estate, medical-tech, bioenergy industrial projects, Biomass, renewable energy, waste-recycling, heavy construction, environmental-tech projects that have the right mix of flair, growth potentials and market vision. Whether its a start-up project looking to launch a pilot project, a company with proven technology that needs capital input to reaching commercial scale. We are open to structure a loan package and agreement based on your financial needs and projections.